All clamps are high quality zinc die-cast. The leg construction and large fixed foot end caps enhance safety and stability. 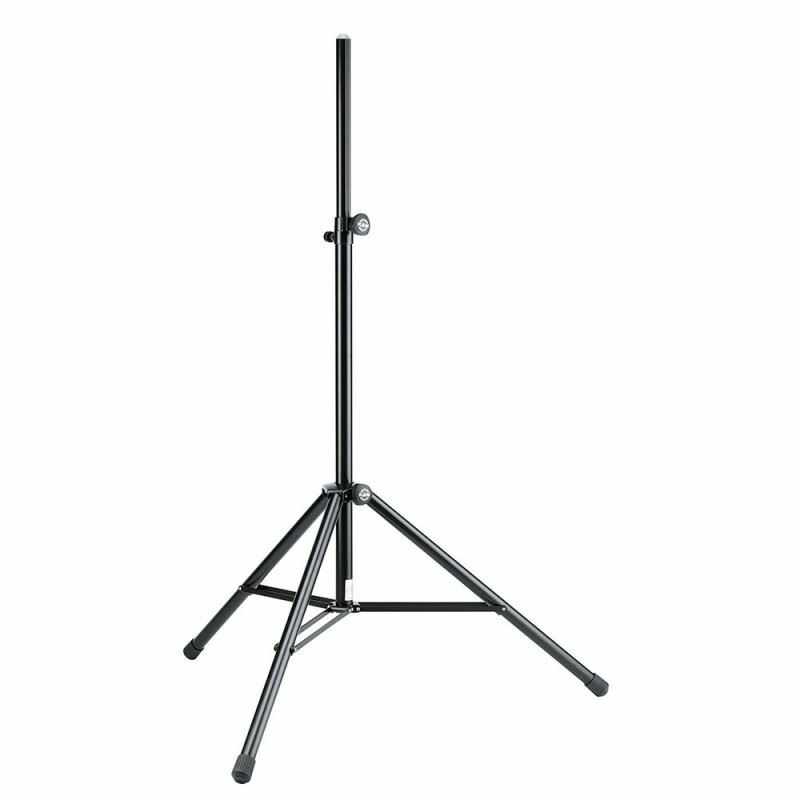 This professional stand is TÜV (German Technical Supervisory Agency) approved for a maximum central load capacity of 50 kg. Other features are the pull-out guard for the extension tube, the integral anti-shock component and comfortable height adjustment with spring-loaded bolt and locking screw. Comes with a mounting aid on the extension rod. Box Sound System 20U With Aluminium Layer & Wheel..
GEAR UP SPEAKER STAND W/EZ ADAPTOR SS710BThe HERCULES Gear Up Speaker Stand SS710B features the Quick-N-EZ Gear Up System to raise and lower speakers to desired height and securely locks them in place. The SS710BB also features the EZ Adaptor pole top. Features:The Quick-N-EZ Gear Up easily rai..